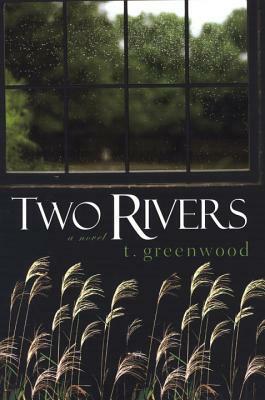 T. Greenwood's new novel is a powerful, haunting tale of enduring love, destructive secrets, and opportunities that arrive in disguise . . . In Two Rivers, Vermont, Harper Montgomery is living a life overshadowed by grief and guilt. Since the death of his wife, Betsy, twelve years earlier, Harper has narrowed his world to working at the local railroad and raising his daughter, Shelly, the best way he knows how. Still wracked with sorrow over the loss of his life-long love and plagued by his role in a brutal, long-ago crime, he wants only to make amends for his past mistakes. Then one fall day, a train derails in Two Rivers, and amid the wreckage Harper finds an unexpected chance at atonement. One of the survivors, a pregnant fifteen-year-old girl with mismatched eyes and skin the color of blackberries, needs a place to stay. Though filled with misgivings, Harper offers to take Maggie in. But it isn't long before he begins to suspect that Maggie's appearance in Two Rivers is not the simple case of happenstance it first appeared to be. At the beginning of the novel, Harper suggests that twelve years after the incident at the river he wants only to find forgiveness, to make amends for his involvement in the crime. Do you think that by the end of the novel he has done so? Why or why not? Is he forgiven? If so, by whom? Do you, the reader, forgive him? Discuss the role that race plays in this novel. Is the crime against the carny racially motivated? Does what happened to Harper's mother factor into this decision? What are Brooder's motives? Why do you think Harper agrees to take Maggie in? Is it a selfless act or a selfish act? How did Shelly factor into his decision? What role does religion play in this novel? Do you think that Harper believes in God? Of what significance is the scene at the makeshift chapel in Roxbury? Two Rivers, at its core, is a love story. Discuss the relationship between Harper and Betsy (both as children and as young adults). Does the tragedy of losing Betsy justify Harper's involvement in the scene at the river? Consider the blackberry imagery . . . both in the description of the carny's skin color and the memory he has of Betsy plucking a blackberry in summertime. Discuss the mothers in this novel: Mrs. Parker, Helen Wilder, Betsy. How do each of them reject/redefine/embrace motherhood? Are they victims of their times? Why or why not? Discuss Betsy's pregnancy. What sacrifices do you think she makes to keep Harper from going to Vietnam? Did she have a choice? She blamed her father's stroke for trapping her in Two Rivers, so how do you think she feels after he died? Does she still feel trapped, now by her own pregnancy? Is Harper a good father to Shelly? Will he be a good father to Wilder? Discuss his relationship with his own father. In the end of the novel, Maggie suggests she might like to be a teacher when she grows up.What is it that she teaches Harper? Why does Harper decide to leave Two Rivers? Could he and his new family have moved on without leaving? Where do you see his relationship with Brenda going, and do you think it could have gone there if they hadn't left Two Rivers? What are some of the stronger images that stood out to you? How do they tie together Harper's past and present? Discuss the effectiveness of the time period as a backdrop for Harper's story. How did the civil rights movement and the Vietnam War change his life and shape his views? Would you have made the same choices if you were in his situation at that time? Today? All of the flashbacks to the fall of 1968 are in the third person point of view except for the last one, which is told through Harper's first person account. What is the significance of this change? Discuss the symbolism of the two rivers and their confluence.